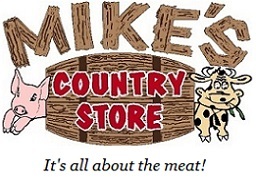 Click the button below to add the Mike's Robust Ribeye Steak Sauce - 9.5 oz. to your wish list. Mikes All Natural Robust Ribeye Steak Sauce - 9.5 oz. Serve it with any of our delicious fresh steaks online. Ingredients: Balsamic vinegar, soy sauce (water, soy beans, wheat, salt), tomato paste (may contain salt and citric acid), fruit juice concentrates (orange and raisin), Worcestershire concentrate (distilled vinegar, molasses, corn syrup, water, salt, caramel color, garlic powder, sugar, spices, tamarind, natural flavor), garlic and onion powder, xanthan gum, can sugar, basil, oregano and black pepper. Smoked Applewood Bacon - 3 lbs.